In 1917 the Village of Newport was a hub of political and economic activity with a thriving lumber industry. The area around today's Main Street was the center of the settlement built largely around a booming log trade. Using the lake to move lumber from one location to the next, several mills established themselves along the City's shoreline. The Prouty Lumber Mill was the first, built in 1863 where Built by Newport is currently located. In 1880, Frost Veneer Mill took root on the west side of town followed by the International Mill in 1883 where Waterfront Plaza currently resides. 100 years later, industry in Newport is still on the move with several manufacturing facilities spotting our cityscape. To honor our heritage, three local companies have opened their doors for an intimate tour through their working facilities. Guests for the Newport Industry Tours will embark on a guided shuttle trip with visits to Revision Military, Columbia Forest Products and Built By Newport. The Industry Tour experience is a half-day program limited to 40 lucky ticket holders. 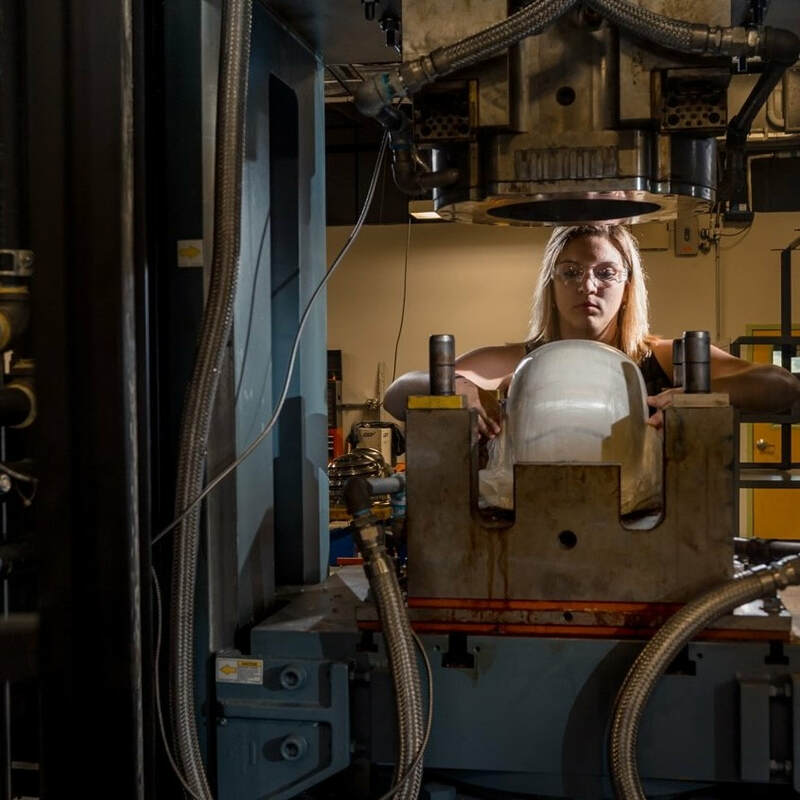 Revision’s Newport facility is the primary site for helmet and armor production and manufacturing. Revision hosts a full-spectrum of manufacturing—from traditional aramid helmets to high-tech polyethylene, as well as hybridized, advanced materials applications—is firmly focused on quality and efficient manufacturing processes, and features a dedicated workforce capable of shifting between single orders and major, high-volume contracts. 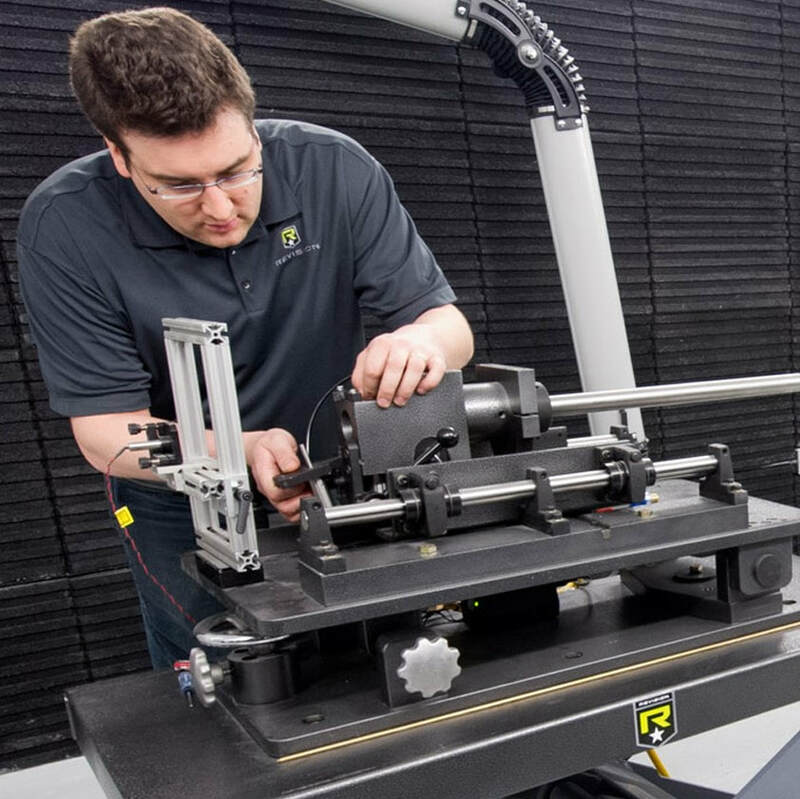 True to Revision’s custom end-to-end development philosophy, the Newport facility has in-house testing and quality assurance labs to monitor the full manufacturing and production process—from dimension and weight validation through to compression and impact testing. Since 1963, Built by Newport has grown and evolved to meet the needs of ever changing market demands in the furniture manufacturing industry. 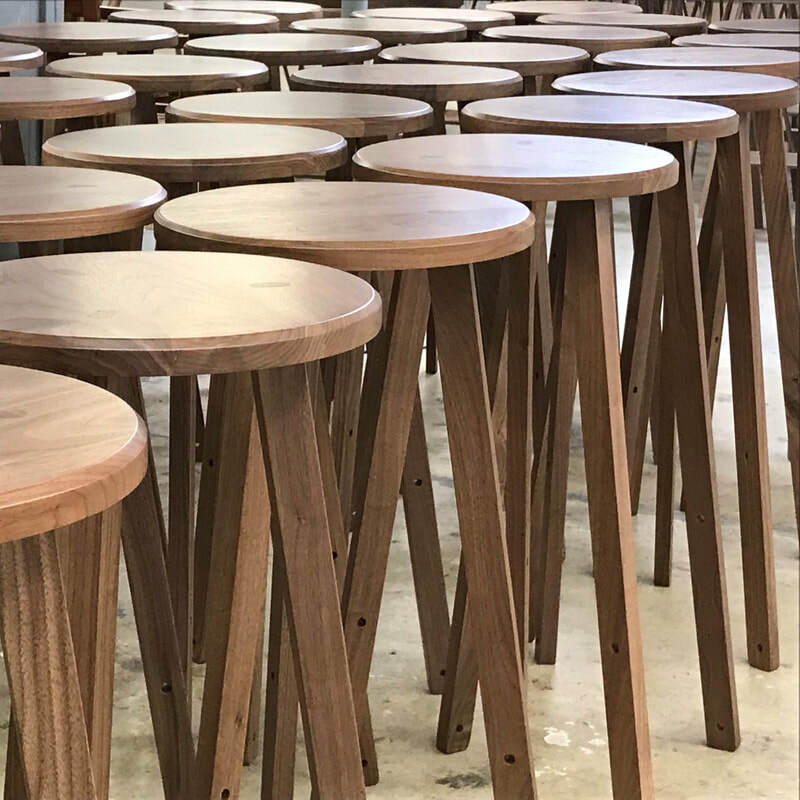 Working with all hardwood species, we specialize in dining chairs, accent tables, lounge seating, and lighting. Over the years, we’ve consistently made it a point to ensure that we can offer the latest in technology all while maintaining the artful skill of hand craftsmanship. Highly qualified CAD designers, skilled CNC operators, and experienced assemblers and finishers combine to bring the concepts of our customers from a drawing on paper to fully finished products. 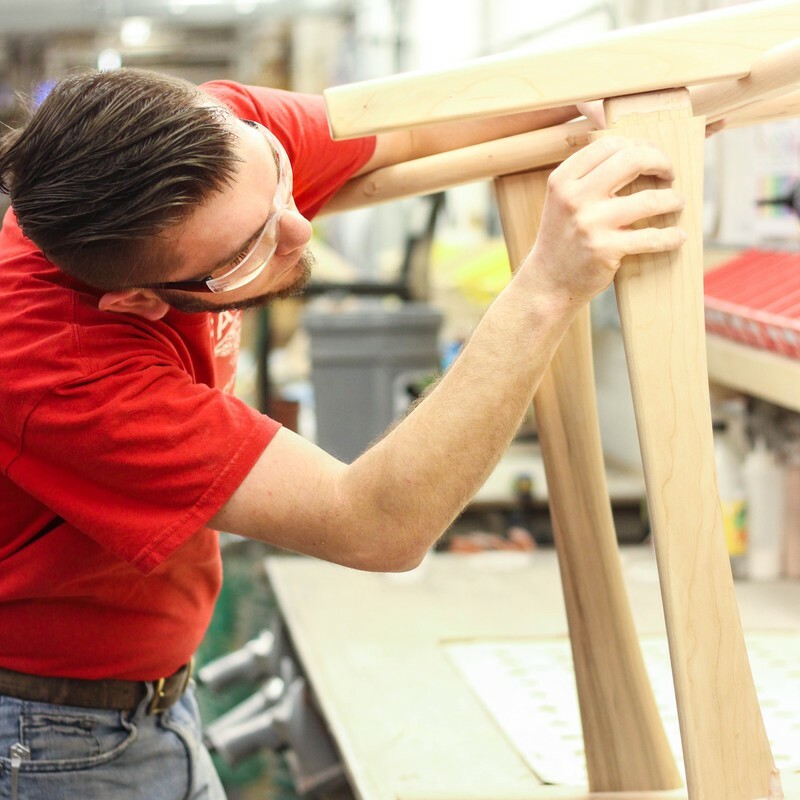 Our passion is two fold: building complex, quality Vermont made furniture and building up a team committed to a culture of continuous learning with the same dedication to the vision for this company – making the very best in furniture in a community that we love. 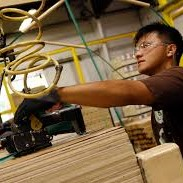 Founded in 1957, Columbia Forest Products is North America’s largest manufacturer of hardwood plywood and hardwood veneer products. Columbia’s decorative interior veneers and panels are used in high-end cabinetry, fine furniture, architectural millwork, and commercial fixtures. Columbia’s products are sold through a network of wholesale distributors, mass merchandisers, and original equipment manufacturers from three distinct business units: plywood, veneer, and global services. Our operations at the Newport mill of Columbia Forest Products are dedicated entirely to the production of hardwood veneer. While the Newport mill was built in 1945, it has been part of the Columbia family since 1966. Space is limited to twenty people per tour. Participants must be 16 years or older. Advance tickets are required for any passenger who boards the shuttle bus. Ticket pickup is the day of your tour at the Gateway Center just prior to departure. Please bring your confirmation receipt with you. Guests should wear comfortable, close-toed walking shoes and dress in layers ready for cold or hot environments. Safety accessories will be provided as needed. For special or handicap accommodations, please contact us before reserving your tickets. Please let us know if you have special dietary restrictions.